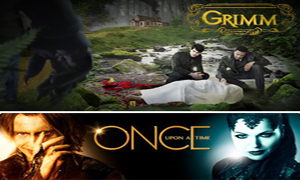 When “Grimm” and “Once Upon A Time”, two new fairytale television series were announced for the fall schedule there was much attended buzz from the entertainment media. Those who were able to view an early screening of each show’s pilot episodes gave each a favorable review and held out high expectations for them believing fans would rally around them, while giving “Grimm” a slight edge over “Once Upon A Time.” In our own Slice of SciFi poll done back in October fans also gave “Grimm” the highest votes for becoming a hit at 52% while “Once” got a respectable 38% of the vote. Now that the shows have aired their pilots and have two other episodes in the can where are they in current standings? It would seem we critics and fans may have gotten it wrong in the early voting. 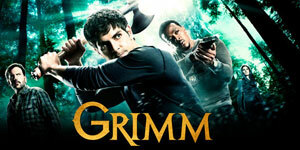 NBC’s “Grimm” takes the standard Grimm tales into the 21st Century by introducing the viewers to Nick Burchkardt (David Giuntoli), the heir apparent to the famed Grimm family job of being a protector of humanity from all those beings that can transform themselves into big bad wolves, bears, demons, and so on. Only Burchkardt can detect them, seeing their true form and fortunately is a cop with a gun which, along with his partner, is able to tame them, cuff’em, or bring them down if need be. After three episodes the show seems to already be falling into that formulaic monster-of-the-week scenario, which “Sanctuary” has proven is doable, but could begin to wear a little then if the writing, plot predictability and acting doesn’t pick up soon. ABC’s “Once Upon A Time” is proving to be a different kind of animal rarely seen on television, a weekly non-linear storyline that looks like it will have a beginning, middle and end. The story takes place in two worlds simultaneously thanks to flashbacks, FairyTale Land and the 21st Century real world of Storybrooke, Maine. The central characters in FairyTale Land are Snow White (Ginnifer Goodwin), Prince Charming (Josh Dallas), the Evil Queen (Lana Parrilla) and Rumplestiltskin, however, in Storybrooke the theme shifts to Snow’s daughter Emma and her son Henry, as well as the Mayor & the town’s rich benefactor. In each case the same actors portray their respective roles. So far each week the show plots have been ingeniously written, beautifully portrayed by main and supporting cast alike. There is a real mystical and fairytale feel to both worlds, in fact, at times the supposed real world of Storybrooke seems more mythical then the fairytale location. The premise of the show is also quite intriguing. Snow & Charming marry, have a daughter named Emma but the Evil Queen feels slighted by Snow, who admits to Charming that she has done something bad to ruin the Queen’s life (hopefully we will find out later what that is all about). The Queen casts a spell against all the inhabitants of FairyTale Land but before it can take place Charming is able to hide their newborn daughter in a magical pantry that transports her to our reality. She is raised by foster parents, grows up has a son named Henry that she leaves for adoption. The spell of the Evil Queen also transports all the inhabitants to our reality in a present day town called Storybrooke, Maine. None of them remember their previous lives in the fairytale world, except for Henry, who has been adopted by the town’s Mayor, the Evil Queen. Through this special book given to him by his teacher (Snow), he is able to draw his real mother Emma to the town to begin the journey of breaking the terrible curse. When Emma arrives the town-square clock moves its minute hand for the first time in anyone’s memory signaling to young Henry that it has begun. “Once Upon A Time” is aided greatly by a stellar and seasoned cast (something lacking with “Grimm”). Headlining the great ensemble cast is Jennifer Morrison (“House,” “Star Trek”) as Emma Swan and Robert Carlyle (“Stargate Universe,” “28 Weeks Later,” “Trainspotting”) portrays Rumplestiltskin. The good news for this show is after only three episodes ABC has given it a thumbs up for a full season pickup of 22 episodes. I agree with the review. 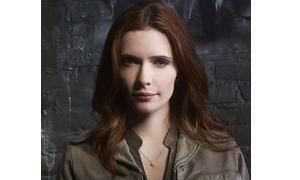 Grimm strikes me as too Buffy-esque, without the witty banter. Grimm is the type of show that has been done again and again…Once upon a time (so far) seems to be a new thing altogether (and thus far is also very family friendly. I see the potential in Grimm, maybe if we start to learn something of the characters and make less of a police procedural and start defining a mythology it could be something very cool. Right now the main actor, David Giuntoli just remindes me of a stiff Brandon Routh, which is saying something. I like the werewolf sidekick, I see potential for some comedic relief. Giving it a go for a few episodes and hope that it surprises me like SGU did. Once Upon A Time I really debated whether or not to even watch this and I found I’m heavily invested in the characters. The storyline is incredible and I just love the fairytale world and that it’s so much more dangerous than the Storybrook setting. This last episode showing the backstory or Sow and Charming was awesome. It was a pleasure to find out that these characters are forces and there are reasons that stories have been written about them. This show is well-done, other family shows could take some notes from this one. Grimm give me the bin there done that feeling. We have seen this sort of thing before and done better. Once Upon A Time is at lease different. However, something need to really happen soon or I’m just not going to care. I am really enjoying “Once Upon a Time”, I find it to be a very fun show. I found the pilot for “Grimm” to be very boring, haven’t watched the other episodes yet, they are still sitting on my DVR. Grimm is getting a bit better with each episode. This past week’s show wasn’t bad at all, however, in my opinion Once Upon a Time is still the better series. Once Upon a Time is definitely the better of the two. It’s good enough that people I know who wouldn’t even consider watching SciFi/Fantasy are interested enough that they watch it together as a family. There aren’t many shows out there like that anymore.